The Alert Bay 360 Race is an annual event that combines the wild ocean with rowers (and paddlers of all types) in the remote village of Alert Bay. Over 100 water craft compete in this 11km race around Cormorant Island, in a mad dash of paddles, oars, paddle-wheelers, surf-skis, kayaks, rowers and other small self-propelled water craft. 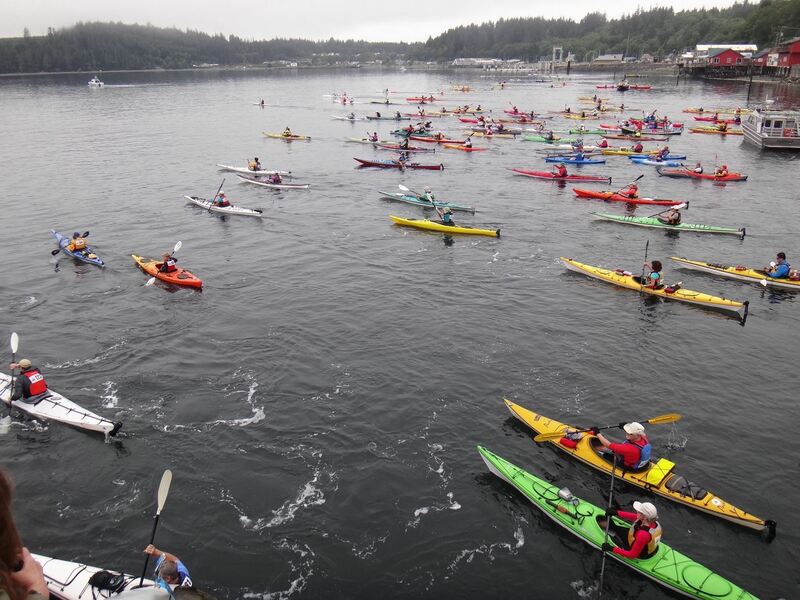 Paddlers sign up online, travel up Vancouver Island to Port McNeil and ferry to Alert Bay. The whole village turns out to support the race and welcome the paddlers with a BBQ, accommodation options, race support, pet sitting, prizes and a grand finale evening of First Nations cultural celebration in the big house. Salish Sea will be competing again this year in the "doubles" category. Check out our previous Alert Bay adventures here Salish Sea at Alert Bay Members who would like to join in this year, contact a Board member or info@salishsearowing.ca for more details.